Foaming agent for firefighting based on sea water | ООО "ФИРМА "СОЮЗ, ЛТД"
Foaming agent for firefighting SOFIR based on sea water. FIRM SOYUZ, Ltd, LLC, Kharkov, is the leading company to develop, manufacture and supply of foam for fire fighting has studied the problem of the emergence and suppression of fires on ships. 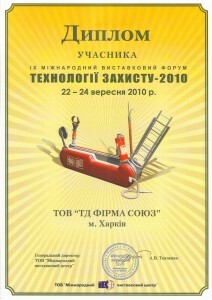 Through the study of physical and chemical properties of various foam structures and multiplicity staff certified chemical laboratory company (a certificate of attestation № 100-2488/2007 from 27.04.2007g) was an original recipe of blowing agent to extinguish fires on board ships – foaming agent “SOFIR”. Foaming agent “SOFIR” is unique in its properties, it is not sensitive to water hardness, so it can be used with both fresh and sea water. 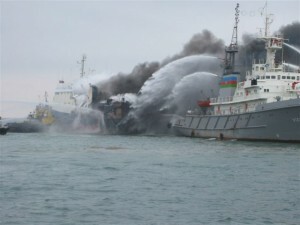 So far in Ukraine there was no local fire-fighting foam, which could be used for fighting fires on ships. Foaming agent “SOFIR” is the first Ukrainian foam, which was approved by the Russian Maritime Register of Shipping (Certificate of Type Approval from 25.07.2008 № 08.80020.180). Foaming agent “SOFIR” is used on boats, ships, oil and gas installations located in shallow coastal waters and on coastal sites. Fire is the air – mechanical foam low, medium and high multiplicity of combustible solids (Class A) and liquid (Class B) substances, other than polar liquids. “SOFIR” low toxicity, slow-burning, is a low hazard substance class 4. In their extinguishing properties “SOFIR” nor is inferior, and even in many ways superior to their foreign counterparts, as well as a product of domestic production, the cost of its much lower. 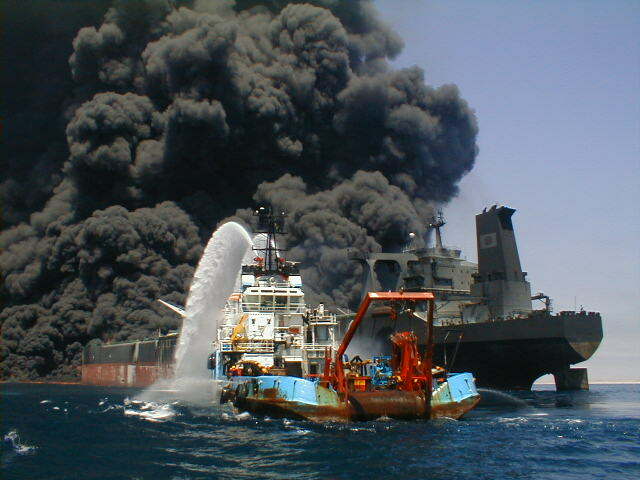 Today, modern ships are equipped with the latest systems and equipment for fighting fires, but nonetheless the disaster happen often. One should carefully look after the effective fire protection of the vessel, or the material and most importantly, casualties are inevitable. Video of the foaming agent for firefighting in the sea water on this link!